When you’re looking for a place to put your emergency fund, open a checking account or get a debit card, you have a lot of options. Sometimes, it seems like there are too many options. Free checking accounts are great, but no one wants to end up being a customer at a lousy bank. People often suggest credit unions as an alternative, but some banking customers don’t think they’re worth it — even though we’ve debunked the most common myths about them. In fact, credit unions are a terrific alternative to traditional banks. What’s the difference between the two? Well, while they are functionally similar, they do have some important distinctions. One of the biggest differences between banks and credit unions is how they’re structured. Credit unions are nonprofit organizations, and they consider account holders members, not customers. Credit unions channel the money they make back to their members via better rates and fees. Banks, on the other hand, distribute profits to CEOs and shareholders — not customers. While that may make credit unions seem like a no-brainer, read on to learn about some other differences. Since credit unions are nonprofit and member-owned, account holders can vote on who runs the credit union. Participation in member-related activities isn’t mandatory, but if you like to have some say over who’s managing your money and how, the option is there. Banks are great for people who want to leave the details of running a financial institution to someone else. They’re for-profit companies, and customers have nothing to do with their structure or the decisions the CEO makes — whether they impact customers or not. Banks tend to operate on a national scale, but credit unions serve a local or regional customer base. Since banks focus on nationwide customer outreach and engagement, they typically offer more products. The downside is that a bank’s rates and fees are often higher than at a credit union. Local or regional credit unions may offer fewer products, but they’re more tuned in to the needs of members in their own neighborhoods and communities. Since they’re member-led, credit unions also have a huge incentive to deliver excellent customer service, especially in the form of lower credit card rates or easier access to personal loans. If you’re the type of person who enjoys interacting with technology rather than talking on the phone with a customer service representative, banks are the way to go. 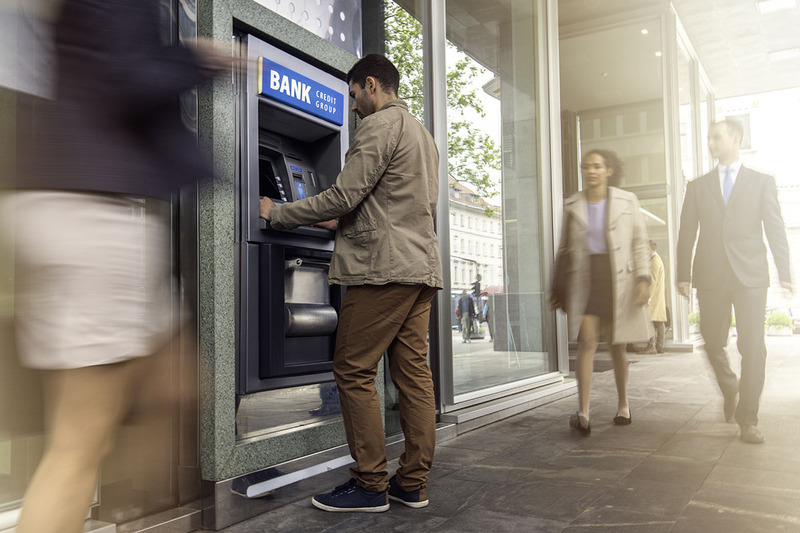 Most major banks let you withdraw money, transfer funds, deposit checks and sometimes open new accounts without ever talking to an actual person. Plenty of credit unions have killer phone apps and web services to help you avoid human interaction if that’s your thing, but some of the smaller organizations don’t yet have the budget to completely eliminate it. If you want a completely human-free banking experience, credit unions may not fit the bill. Customers with middle-of-the-road credit or better typically have their pick of whatever products a bank has to offer. If your credit is decent, you can usually get approved for bank loans in about a week. If you’re worried about getting disqualified for a loan because of a shaky credit history, try meeting with a credit union loan officer, who will consider your unique income status or total financial picture. That may keep you from getting snagged by the standard income or credit thresholds banks set to weed out thousands of credit card or loan applicants they’re not interested in working with. As you can see, credit unions and banks both have their own pros and cons. I recommend you choose the one that lets you hoard the most pennies. Lisa McGreevy is a staff writer at The Penny Hoarder. She remembers when banks used to give away toasters to new account holders. Why did they stop? Avocado toast is life.